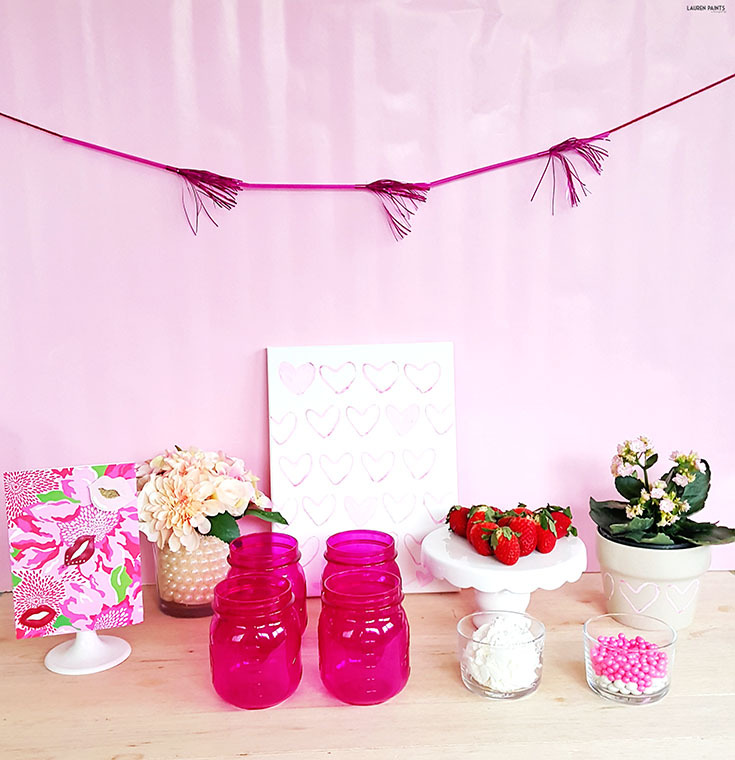 The Cutest Little Valentine's Day Craft + A Fun, Simple Party to Celebrate! 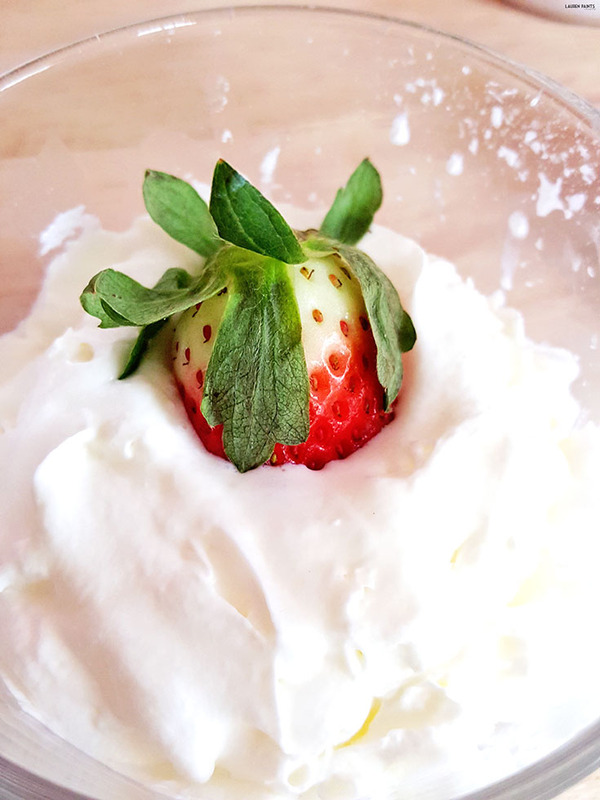 Are you looking for a fun way to spend Valentine's Day with your little sweetheart? 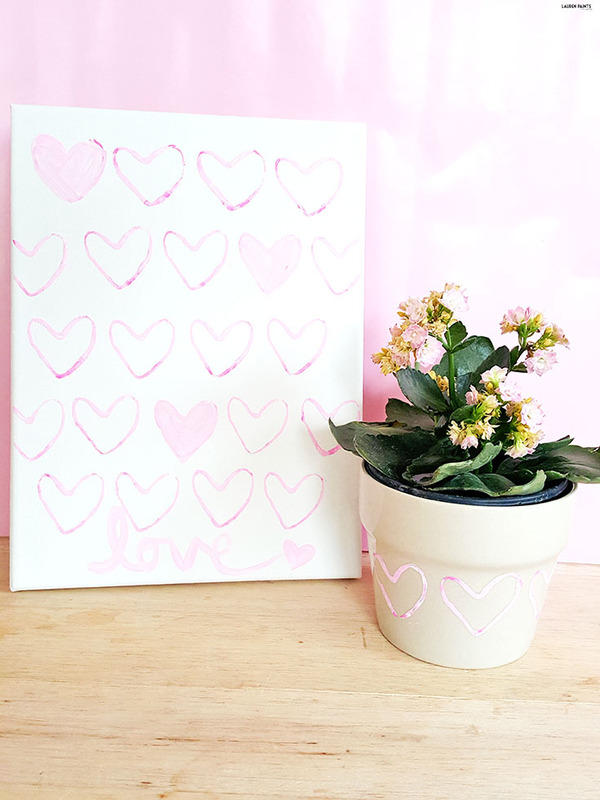 This super simple craft is the perfect way to show your mini that you love them and that you love spending time with them, plus the end product is so cute you can keep it around your house all year long! 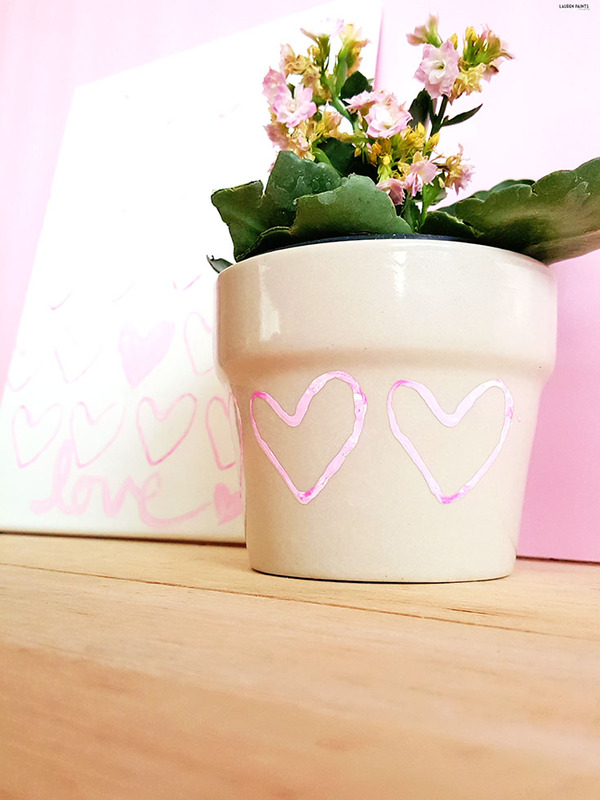 I decided to make two love day crafts, one a simple painting on canvas and another a decorated pot for a new plant I picked up at Ikea. 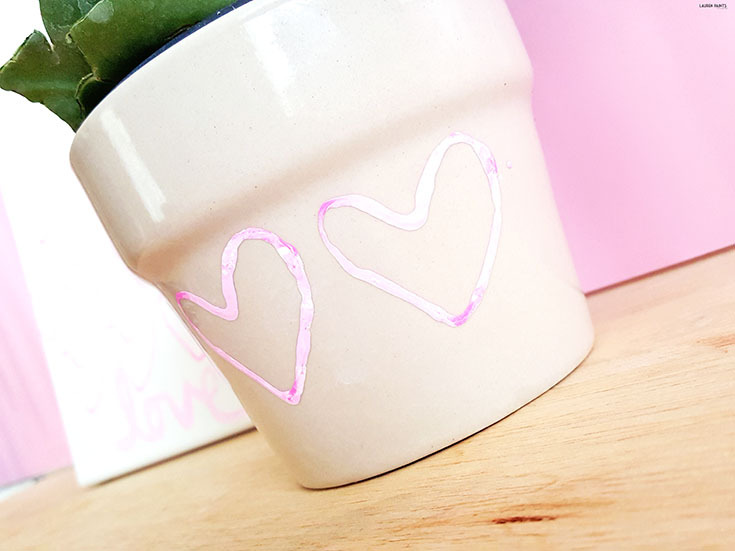 No matter what you decide to add some little love hearts to, I guarantee this craft will steal someone's heart and they'll be asking for a couple to ad to their space as well! 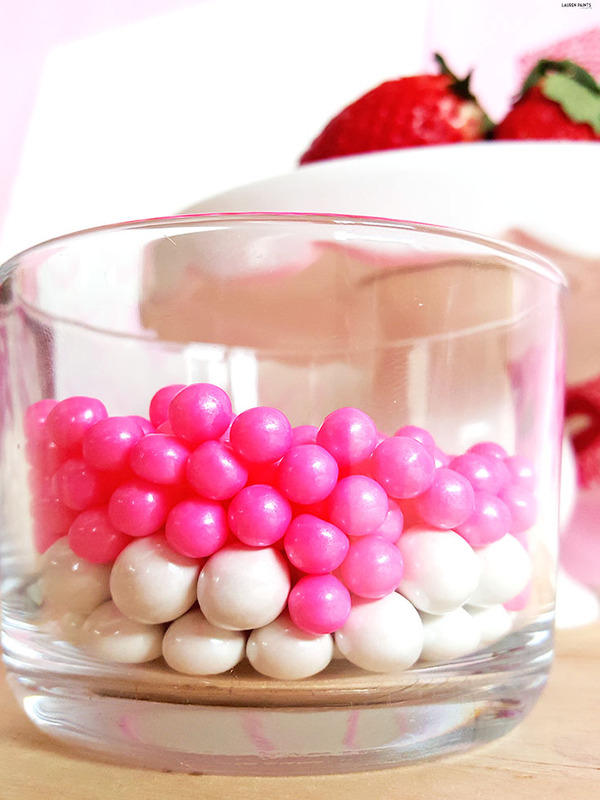 So how do you make these cute little crafts? Now it's time to get crafty! You'll pinch the TP roll into the shape of a heart, or you can let your little one shape the heart. 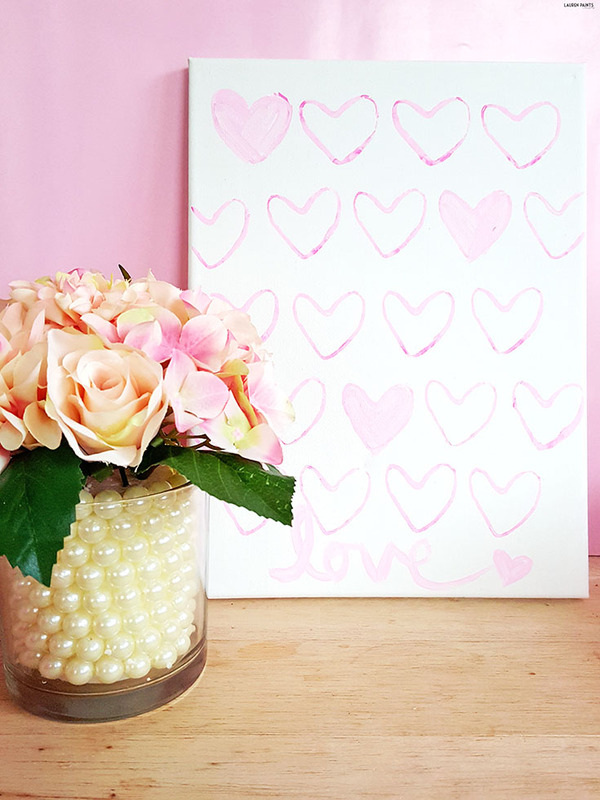 Once it's the perfect bubbly little token of love, you should start to mix your paint. 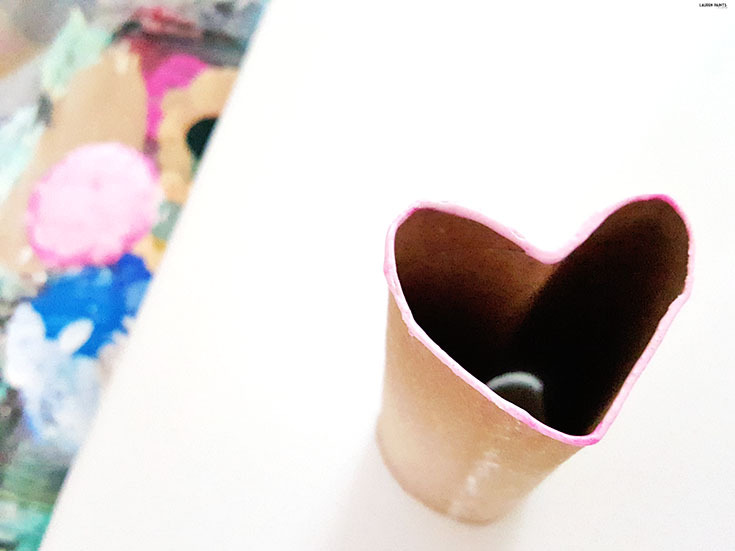 Just a little tip: If you're letting tiny little hands in on this project, you might want to wrap a rubber band around the TP roll to ensure the heart stays in the same shape! 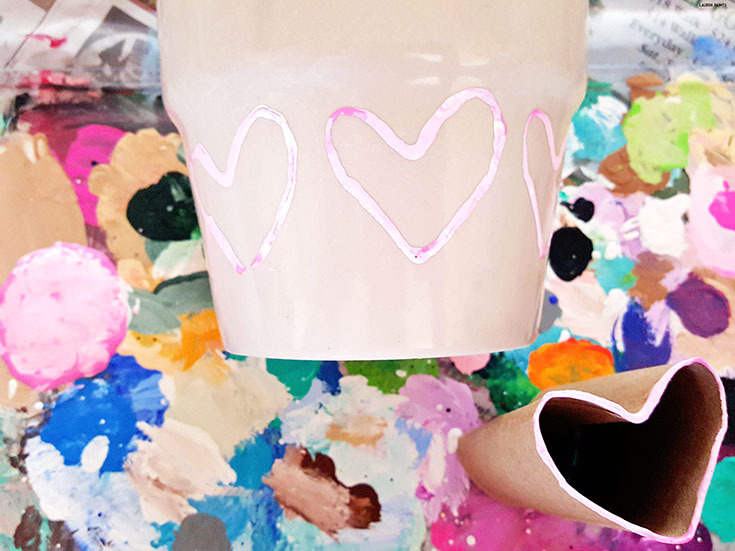 With the paint, leave a bit of the edges unmixed to give your hearts a tie-dye look. Now go ahead and dip your toilet paper roll into the paint and place the paint end on the surface of your canvas (or pot, mug, vase, etc). Gently make sure all edges of the heart have made contact with the surface and remove the roll fairly quickly. Repeat until you've reached the desired amount of hearts on your craft! 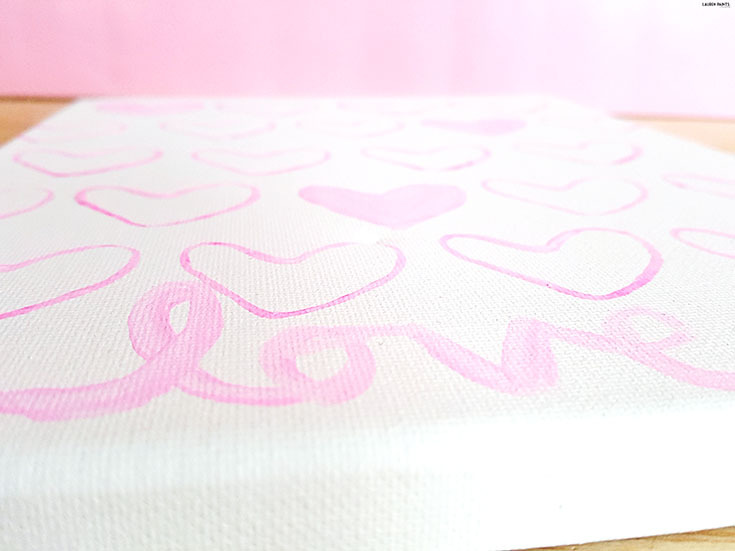 With my actual canvas craft I decided to add the world love with a small paint brush at the bottom and fill in a few of the hearts with paint! 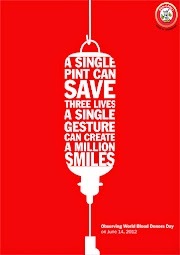 I think the end result is adorable, don't you?! 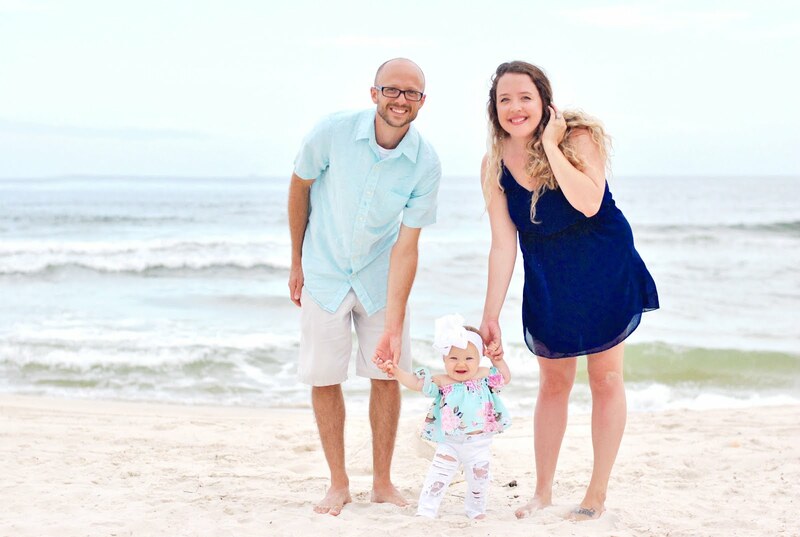 See, that craft was beyond easy and the perfect way to spend some time with a little one today! Next time I see my niece, I actually might make something similar with her... it's so easy and she'll love getting to help me make something so "pretty"! 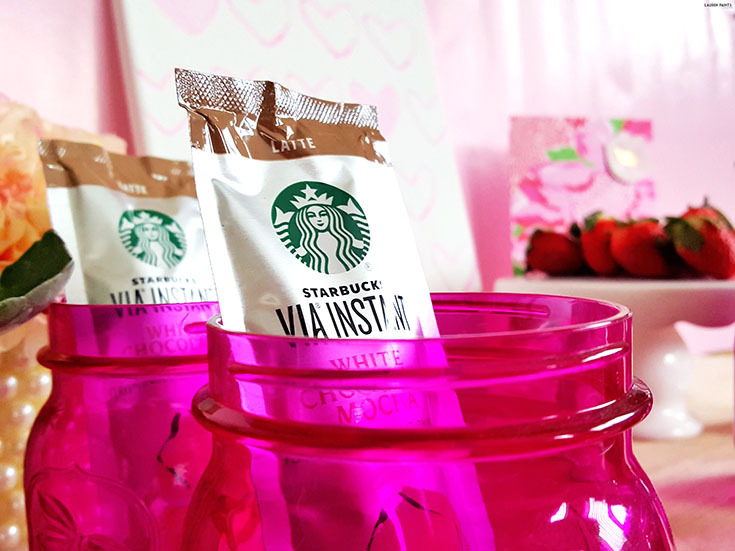 After your finished with your craft, set up a pretty little strawberries & white chocolate mocha party for you and your loves and enjoy some fun! 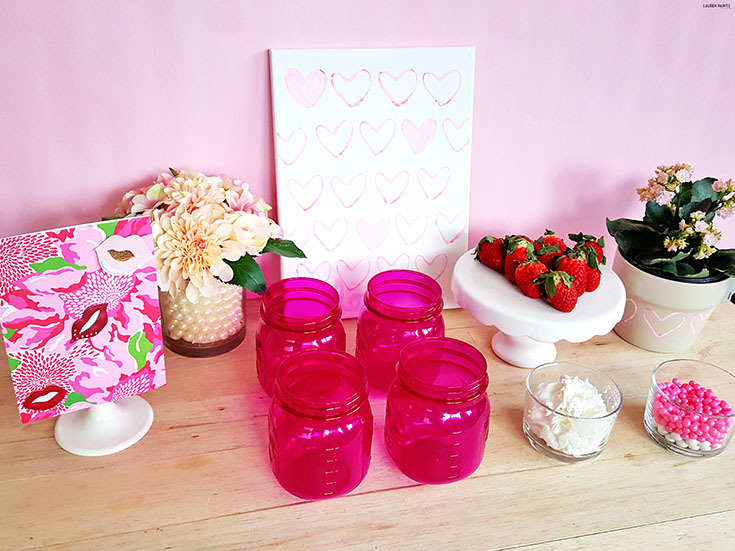 I just laid out my pretty new creations, simple mini pink mason jars, and a little strawberry dessert set up with whipped cream and delicious little decorative chocolate pearls! 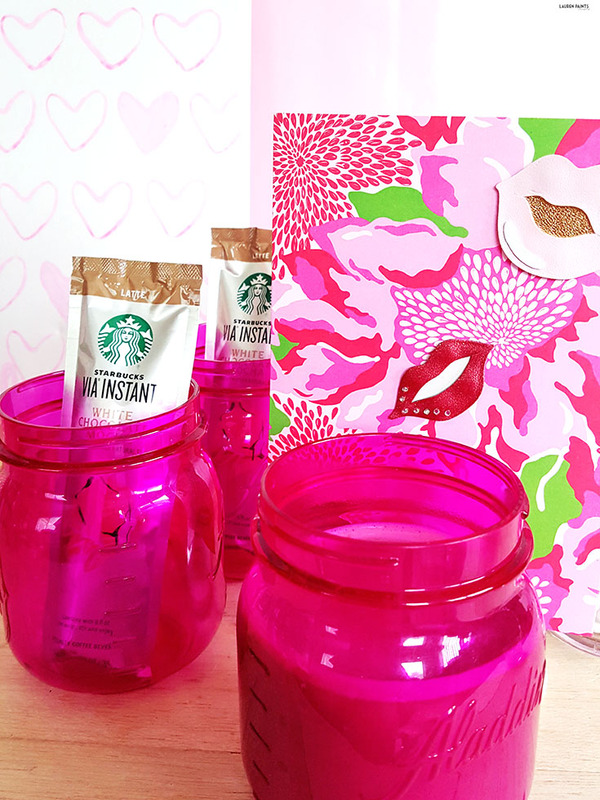 I also added in delicious Starbucks Instant White Chocolate Mocha Latte singles for each little mason jar! 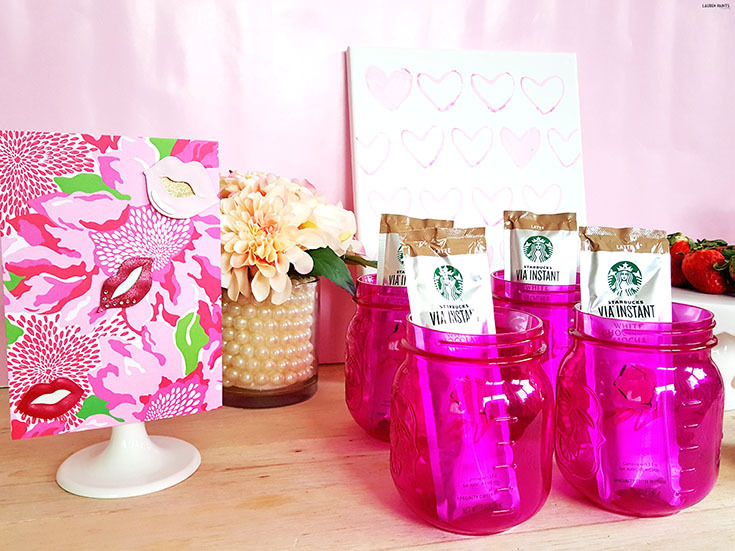 This little setup is the perfect way for you and your little sweetie to treat yourselves and some friends this Valentine's Day! So tell me, what are your plans for Valentine's Day other than crafting up something adorable? I can't wait to hear all about your plans in the comments below!